THE federal government is reviewing the graphic warnings on cigarette packs but doesn’t want to “pre-empt the outcome of the evaluation”, while a public health expert says the time for consultations is over. The current images on cigarette packs have been in circulation since 2012, and research published in the MJA shows they need refreshing. Lung cancer, throat cancer and gum disease are all well known as being caused by smoking, but the new research shows that many Australians are unaware of other serious smoking-related harms, such as pancreatic cancer and rheumatoid arthritis. The federal government is currently developing a new National Tobacco Strategy though the National Drug Strategy Committee. A spokesperson for the Australian Government Department of Health said that a public consultation phase will begin later in July 2018, with a draft strategy expected to be available for consultation by the end of this year. “The government is aware that changes in health warnings are important to maintain saliency and enhance impact and effectiveness,” the spokesperson said. Asked if a national mass media campaign was on the table, the spokesperson said: “The government does not wish to pre-empt the outcome of the evaluation – which is expected to be completed by the end of the year – or any future communication activities”. 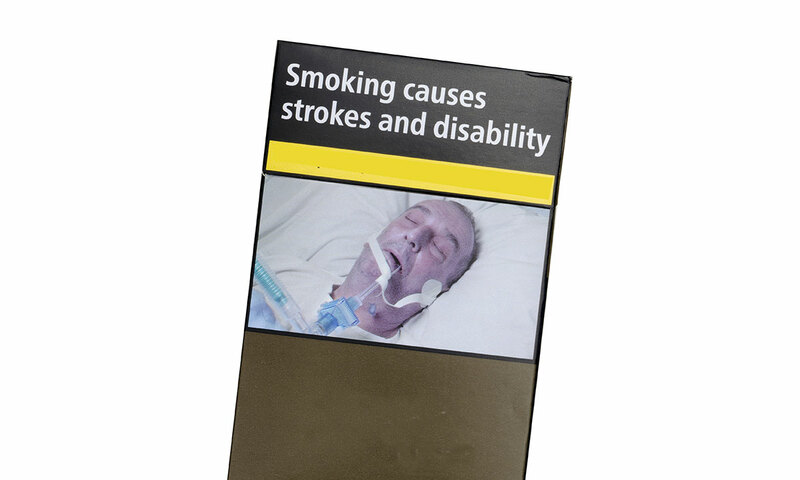 Professor Mike Daube, a public health researcher and long-time antitobacco campaigner, said that a new national mass media campaign was long overdue, and such a campaign would reinforce messages featured in graphic health warnings. “We lead the world in terms of health warnings, but we’re falling behind in terms of media campaigns, which have been mothballed for 6 years,” he said. Professor Daube said that long discussions and consultation periods were unnecessary. Professor Daube added that the $30–40 million cost of a national advertising campaign was a “drop in the ocean” when Australian governments were collecting $12 billion in tobacco taxes each year. The authors of the MJA research, found that, among 1806 adults surveyed in 2017, about 90% of participants were aware that smoking caused lung cancer (91.2%), with similar results among never smokers (93.6%), former smokers (91.8%) and current smokers (83.9%). However, only about half of participants were aware that smoking could also cause pancreatic cancer (51.0%), liver cancer (50.5%), and infertility in women (49.8%). About one in three participants were aware that smoking could cause ectopic pregnancy (36.3%) and acute leukaemia (31.1%), and fewer still were aware that smoking increased the risk of rheumatoid arthritis (27.1%). In an MJA InSight podcast, co-author Professor Melanie Wakefield, Director of the Centre for Behavioural Research in Cancer, Cancer Council Victoria, said that awareness was higher for conditions that had featured in Australia’s graphic health warning program on cigarette packets, and lower for conditions that had not. “The warnings that we have had on packs up to now have been doing a great job, but [this research] also tells that we can do better,” said Professor Wakefield, who is also a National Health and Medical Research Council principal research fellow. Professor Daube said that the research clearly showed that smokers were not fully informed about the risks of smoking. Professor Daube said that a flexible, regularly updated system of graphic health warnings was needed. “If you are getting new messages about other harms that may be of particular concern to you, then that can have a real impact,” he said. Professor Wakefield said that mass media campaigns could help to “bring to life” some of the lesser-known harms that are difficult to communicate in a static image on a cigarette pack. Todd Harper, CEO of Cancer Council Victoria, said that the research was timely in showing that further effort was needed in educating smokers on the risks of smoking. “It’s easy to assume that because we’ve had campaigns on smoking and graphic warnings on [cigarette packs], smokers are perfectly informed about all of the harms of smoking, but … we still have some work to do,” he said. He said that educating smokers about the specific harms caused by smoking also helped to personalise the risks. “Cancers [such as] oesophageal cancer and pancreatic cancer … have much poorer survival rates than other diseases, so it’s really important to be doing everything we can to prevent those types of cancers or diseases occurring in the first place,” Mr Harper told MJA InSight. He agreed that a national media campaign was needed alongside updated graphic health warnings. Yes we do need action – to legalise vaping as tobacco harm reduction. Rates of smoking are falling faster in all jurisdictions with this than in Australia. Time to accept that others are doing better than us and learn from them. Agree for once Joe. AMA is obstructing the obvious. Let’s legalise private vaping as absolutely NO evidence it is more harmful than smoking and considerable available that it has less carcinogens, if any. Clearly addicts will do better on E Cigarettes than smoking last century’s delivery method. How does research show that warnings ‘need refreshing’? Increasing the awareness of the number of ways that smoking can kill you is something expected to decrease smoking? Everyone does indeed know that smoking is dangerous and can kill. It’s not the number of ways that it can kill that would be expected to have an effect on smoking behavior, but the odds of it killing, the decrease in life expectancy, and/or the pain from the process that would. These things virtually no smoker is ignorant about. As the article states, $12billion is collected from smokers in taxes. Meanwhile, total cost to *others* (chiefly in the form of Medicare costs) is on the order of a couple of billion. There is no behavior whose dangers are better understood than smoking. If the motive is simply medical paternalism, as it usually is among medicos in this country, stick to calling for smoking to be unaffordable or banned. And in the meantime, encourage ecigs and vaping for your patients. In 2014 a collaborative study by Institute for Healthy Living and Chronic Disease Prevention, University of British Columbia’s Okanagan Campus, Canada and Faculty of Health Sciences, Australian Catholic University, Melbourne, Australia: A social media approach to inform youth about breast cancer and smoking: An exploratory descriptive study. As a result two youth-informed, gender specific YouTube-style videos designed to raise awareness among adolescent girls and boys about tobacco exposure as a modifiable risk factor for breast cancer. This approach holds potential for other types of health promotion messaging targeting youth (and general public). Tailored, gender-specific messages for use on social media (and other media campaigns) hold the potential for cost-effective, health promotion and cancer prevention initiatives targeting youth (and general public). I think by raising public awareness through interactive technology of how (our) smoking has significant impact and consequences on our children & young persons health, holds ‘change’ in behaviours towards ‘looking out for love ones’, and encourages bystanders in taking a role to protect and minimise smoking exposure. Check it out: http://www.start.ok.ubc.ca Are we talking…now! The young people themselves contributed to the development of visual resources, and video clips for social media platforms….leading the way in making a difference for raising public awareness, especially for young people. Substitution through vaping – including it’s conflicted industry interest – is not the solution to cigarette smoking. Even it is had less risks than cigarette use (in established smokers), it is at best a ‘band aid’. All that we know about ambient air pollution would suggest it is likely to be far from harmless. But worse still, it may well act as a gateway or introduction to smoking by enabling nicotine dependence in younger never-smokers. For this reason we should advocate for a precautionary approach – it should not be legalised or promoted until there is very good evidence of sustained net benefit.